This auction features a collection or Sports Memorabilia more of the rock and Native American artifact collection we have been liquidating and an assortment of fine jewelry. Also included are a number of antiques and collectibles as well as a 1978 bottle of Dom Perignon. Description: This jersey has a few small spots that we have not attempted to clean but overall is in good used condition. Description: This set is in good used condition. Description: Great assortment of classic action movies. They have not been tested but appear to be in good used condition. Description: This set appears to be in good used condition. Description: This sander is working and in good used condition. It does not have the collection bag. Description: This lot has not been tested but appears to be in good used condition. One game is missing the cover art. Description: Nice assortment with some good age to it. Description: This lot has some good pieces for jewelry making. Description: There is also a RadioShack promo comic book in this lot. They have wear from reading and the auction house does not grade comic books. Description: This item has some wear from display and a 12" diameter. Description: These pouches come in a range of sizes and are in good condition. Description: This piece measures 5" wide. Description: This item has some wear from use and is in good working order. Description: This set is still sealed in the original package. Description: These sunglasses are in good used condition and we do not know what prescription the lenses are. Description: The case and knives have some wear from use but are in good useable condition. Description: This model comes with a display case in the original box and does not look like it has been displayed. Description: This scale has wear from use and does not included the hanging tray. It has not been tested. 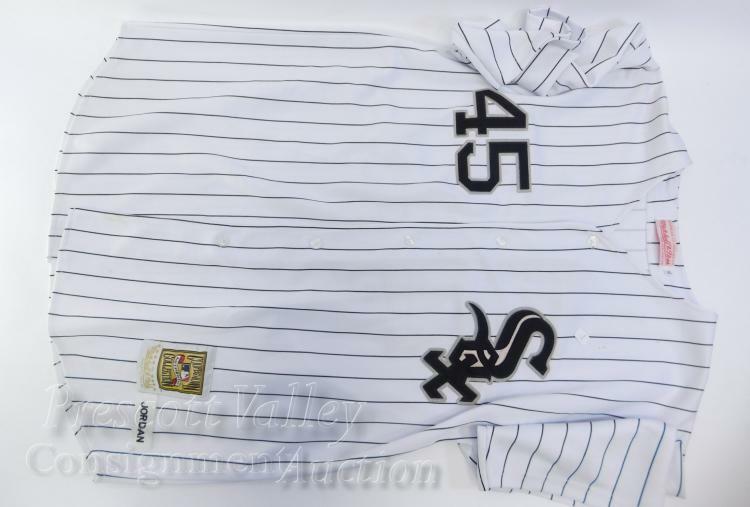 Description: This jersey has a spot on the front that we have not attempted to clean but appears to be in good used condition overall. Description: These goggles have dirt and wear from use. Description: These movies have not been tested but appear to be in good used condition. Description: This set has some wear from use but is in good used condition overall and is working. Description: This router has some wear from use but is in good working order. Description: This razor is unused in the original packaging.